Every five seconds a website gets hacked. Having your website hacked could make you have one of the worst feelings but don’t worry and just stay calm. 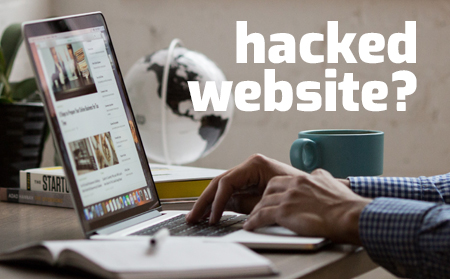 There are a number of steps you can follow to repair a hacked website and you can also prevent your website from future attacks by installing effective software that can detect such attacks even before they could occur. Following the steps below will help you to repair your hacked website. Find Out Exactly What Happened: Check to see if any of your data is missing, or if anything’s been added to your database. Contact your host: Before you begin diagnosing the problem, tell your host that your site has been attacked and is presently down. They may be able to find out what happened to your site and how to recover it. Search Twitter and Google for Help: If your host’s support team tells you that nothing is wrong with your server, then you should reach out to the Internet for relevant answers. Check Your User Accounts: To check if a new user has been created, you will have to scan your site’s users accounts. Delete that new account in order to prevent future damage from the hacker. Change the passwords for all your accounts and users. Users are not interested in visiting a site that gives them a scary malware alert Stop your webserver or point your website’s DNS entries to a static page on a totally different server that uses a 503 HTTP response code. Contact your host again for help if you are not sure on how to take your site completely offline. Website security is immensely essential as a hacked website can, in fact, cause great damage to the very reputation of your site, particularly if Google puts a “This site may harm your computer” warning on it. Proper website security education accompanied with the willingness to invest in software can make a huge difference on hacking prevention. This is the reason why cWatch was created by Comodo. cWatch is a website security that is available to everyone managing their own websites. Website Hack Repair: Website hack repair provides a detailed report on areas you need to deal with by using the website malware removal feature. DDoS Protection: This improves traffic on your website and blocks hackers from using software vulnerabilities. Managed Web Application Firewall: Works at all web servers, acting like a customer inspection point to detect and then filter out content like embedded malicious website code. 24/7 Cyber Security Operation: Certified experts using enhanced technology to help you resolve security incidents faster. Real Content Delivery Network: Delivers web content at a faster rate by caching at a global data center to meet traffic spikes, shorten distances, and provide website security. Instant Malware Removal: Allows you to know the exact malware that keeps attacking your website. SIEM Threat Detection: Certified experts employing improved technology to help you resolve security incidents faster. Daily Malware and Vulnerability Scan: Assurance that a daily report will be sent to monitor website safety. Website Acceleration: This enables your website to function at a much faster rate. Bot Protection: This is responsible for tracking legit website users to be protected from annoying delayed pages or CAPTCHA. Full Blacklist Removal: When the website scanning is done, all the blacklists will be removed to your website.